We provide no non-sense home staging courses for home stagers who want to design, build and grow their businesses. We also provide practical, hands-on and mostly free resources for homeowners and real estate agents who wish to learn more about home staging and leverage home staging for successful sales of their listings. With 12+ years of business-building under our belt, we share the best practices and tips that enable our business to thrive even in a recession. Our business courses are designed to help home stagers design, build and grow a successful home staging business you always dream about and want. We've been where you were, and we want to help you get there quicker and be profitable and sustainable for the long run. Want to learn more about home staging? How to add return on investment to your home sale with less days on market? Don't know where to get started? Our podcast, blog and online courses like 30-Day Home Staging Challenge help homeowners like you to successfully leverage home staging, a proven home selling technique, to get your home show ready for the market. So you get more ROI, with less stress, when you sell your home. On the show, Cindy interviews top experts in their fields who freely share their knowledge and years of experiences on how to get your home ready for sale. You can download the episodes for free on iTunes and Soundcloud. If you enjoy the show, please do share with your friends, leave a review and rating on iTunes. This will help others find us and we can continue interviewing great guests who share their secrets and tricks. I’ve been an entrepreneur ever since I had baby teeth. As a third generation small business owners, I started Staged4more when I was 25. After 10+ years in the home staging industry and building Staged4more to a 6-figure, award-winning business, I changed our business model to a school of home staging that provides practical, no non-sense school of home staging courses for homeowners and home stagers. In additions to home staging, I have worked as a freelance creative building sets and windows for companies like Anthropologie, Ralph Lauren and Saks Fifth Avenue. I've designed a wedding that was published by a bridal magazine. I've freelanced as a prop and wardrobe assistant on photo shoots for companies like O Magazine, Target, Williams-Sonoma, Pottery Barn, Google, and Apple. I've also freelanced as a florist in London, building floral arrangements for high-end hotels and restaurants. I had also obtained a master degree in photography from Spéos International Photography School, Paris. All these creative, visual experiences and business trainings allow me to hone my skills in styling, visual design, composition, photography, as well as looking at business models in various creative industries. I hope our school of home staging will inspire you to explore new opportunities. Feel free to leave a comment or follow us on social media! After years of running a successful, 6-figure home staging business in the Bay Area, I realized we were starting to meet a need out there that we didn't know was there. Homeowners are coming on to the blog to learn more about home staging and how to prepare and stage their homes for sale. New home stagers are coming to our site to learn how to further their craft, book more clients, set up business systems and stand out in a crowded market. As a home stager working in San Francisco Bay Area, I’ve found that even though home staging is popular here and most home sellers and agents know the concept of home staging, many still don't fully understand how home staging works and how to leverage this amazing home selling tool properly. Homeowners and realtors feel that “As long as I’ve staged the house, it will work.” But that’s not the case. Only well-staged properties will do what it supposes to do — attract the right buyers. Just because you had staged it somehow, it does not necessary it’s the right type of staging that will provide the results you want. This means sellers and agents are leaving money on the table every transaction, which is completely unnecessary and avoidable. 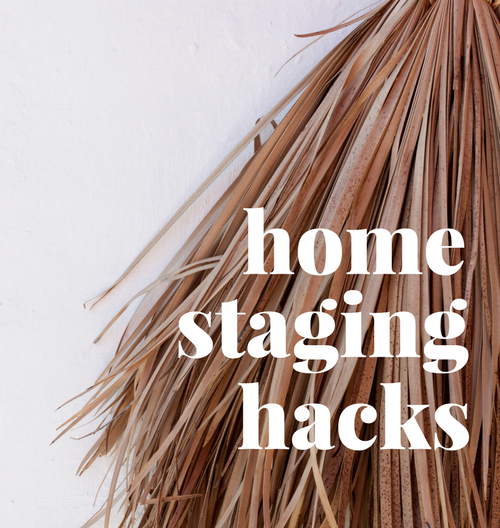 On the industry side, I've also noticed through forums for home stagers and emails from blog readers that there is a significant gap between graduating from home staging training schools to actually build a successful home staging business. This is why the new STAGED4MORE is born. I know that both homeowners and home stagers are hungry for resources and education. This is why I created The Home Staging Show podcast, to have dialogs about home staging with top experts in their fields to share their expertise on how to stage the house to sell quicker and for more money. I know that most home stagers just want to focus on the creative sides, but they need to know how to run their businesses as well. This is why in the business courses, I share our best practices, tips and tricks that had carried us through an aggressive recession to provide shortcuts for new home stagers to build a strong, successful business quicker and with less speed bumps. If you are interested in contributing or guest post on our blog, please read our contributors' guideline and fill out an application. Otherise, your submission is automatically declined and your email will be blocked as spam.